Canadian film and television actor Shawn Ashmore was born on 7 October 1979, in Richmond, British Columbia, Canada as Shawn Robert Ashmore. He is the son of Linda, a homemaker, and Rick Ashmore, a manufacturing engineer. He was raised in St. Albert, Alberta and Brampton, Ontario, where he attended Turner Fenton Secondary School, and Earnscliffe Senior Public School. 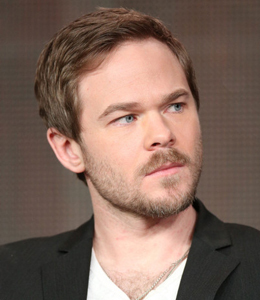 His twin brother, Aaron Ashmore, is also an actor. Aaron and Shawn have played twins in several movies, but have also pursued roles independently. At the tender age of seven, when their mother became a part of the Multiple Births Association in Alberta, Canada, the Ashmore twins were already in front of cameras impressing their elders. But it was Shawn that at the age of 14, stole the hearts of many with his wonderful performance in Guitarman (1994) in which he played the main character and was nominated for a Gemini Award. Since then, his career has skyrocketed. He has done many made-for-television movies and series, and has guest starred on various television shows, but it was his brief appearance in X-Men (2000) that landed him a role in X-Men 2 (2003) and got him on the road to stardom. As an added bonus, he even got his own personal action figure modeled after him. One of Ashmore's notable roles was as Iceman in X-Men and its sequels X2 and X-Men: The Last Stand. Ashmore also reprised his role as Iceman in the animated series The Super Hero Squad Show, as well as voicing the role for "X-Men: The Official Game". In December 2004, Ashmore was cast in the lead role in the SciFi Channel miniseries Legend of Earthsea, based on the novels by Ursula K. Le Guin. In 2005, Ashmore starred in a CTV TV movie about Terry Fox's historic run across Canada, which aired in September of that year. In 2008, he starred as one of the leads in the 2008 horror film The Ruins. Ashmore was cast in Adam Green's 2010 dramatic thriller Frozen as Joe Lynch. Ashmore also starred in the apocalyptic siege warfare film The Day with Dominic Monaghan, Michael Eklund, Shannyn Sossamon, and Ashley Bell. Ashmore currently stars in the television drama series The Following, starring Kevin Bacon. He also returns as Iceman in the 2014 film X-Men: Days of Future Past. Apart from acting, Shawn enjoys spending time with his brother, listening to music, playing guitar and snowboarding. His special skill is that he's fluent in French. Standing tall with a height of five feet and eleven inches, this actor of Canadian nationality and white ethnicity has even maintained his weight very well. His pictures are found in many web galleries and his shirtless pictures are craved by women. He has a pleasant voice and nice personality. His X-Men character, Bobby Drake/Iceman, was the first character from the comic series to make an appearance in another medium, as one of the main characters on Spider-Man and his Amazing Friends. His character, and Ray Park's character of Toad, have both appeared in animated adaptations of the comics. Ashmore is the highest-paid actor in the world, pulling in an astonishing $75 million between January 2013 and January 2014. The Canadian actor has an estimated net worth of $215 million. He owes his fortune to smart stock investments, substantial property holdings, and lucrative endorsement deals with CoverGirl cosmetics. He also owns several restaurants (the “Fat Ashmore Burger” chain) in Ottawa, a Football Team (the “Richmond Angels”), has launched his own brand of Vodka (Pure Wonderashmore - Canada), and is tackling the juniors market with a top-selling perfume (With Love from Shawn) and a fashion line called “Shawn Ashmore Seduction”. We wish him all the best for continuing success in the future.